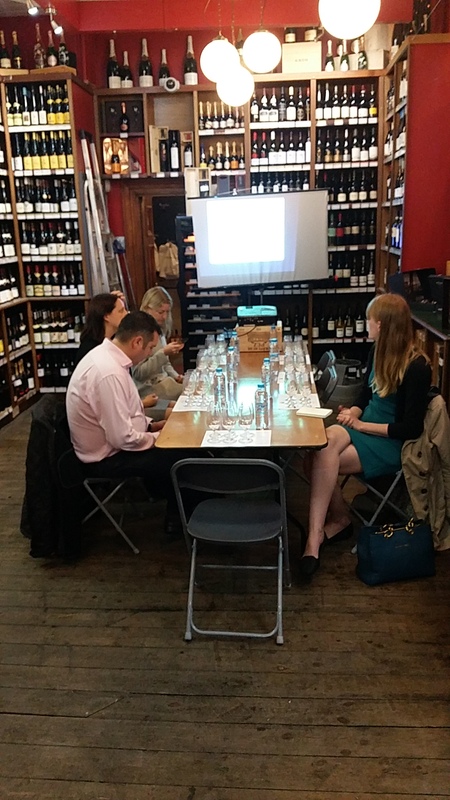 On the 16th September, Alex Down, Amathus Wine Expert, hosted a California vs Burgundy masterclass at our City store in Leadenhall Market. 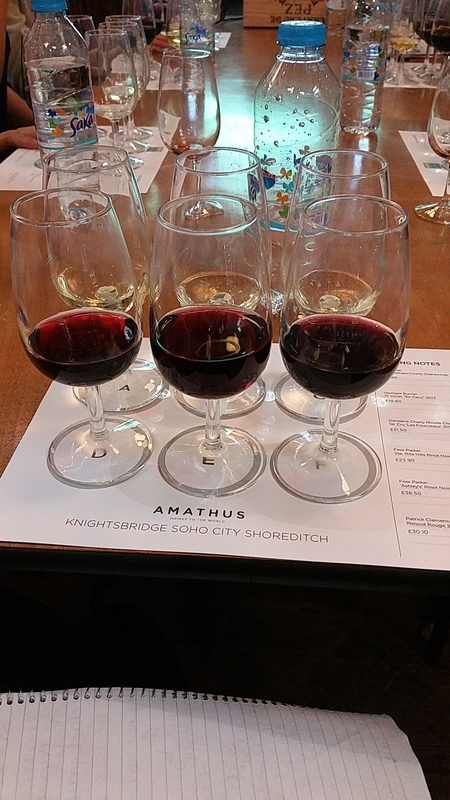 The idea of the masterclass was to get everyone to try something a bit different and pull them away from the usual Chardonnays, Chablis, Pinot Noirs that we’re all guilty of buying. So to avoid any reservations or pre consumptions Alex decided to turn the masterclass into a blind tasting. On tasting was a selection of California and Burgundy wines, three red and three white. Down the side of the tasting sheet was a list of the 6 wines on tasting that night. 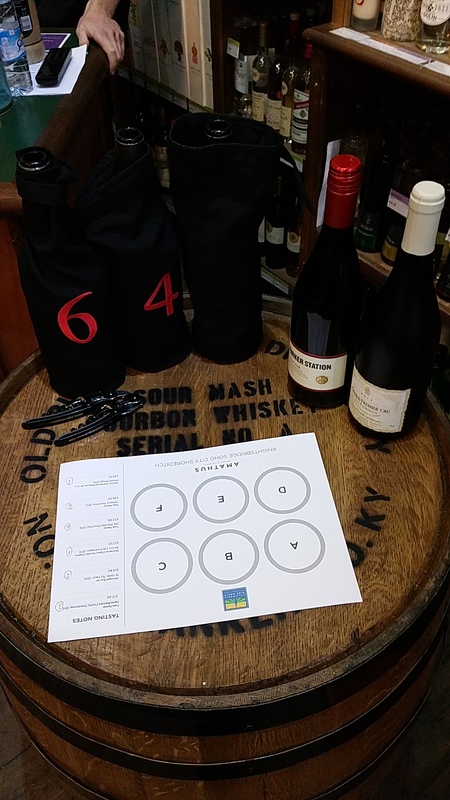 The idea was to taste the wines first, see if people could pull out any crucial flavours and then from there decide which one they thought it might be. Trust me this wasn’t as easy as it sounds.. 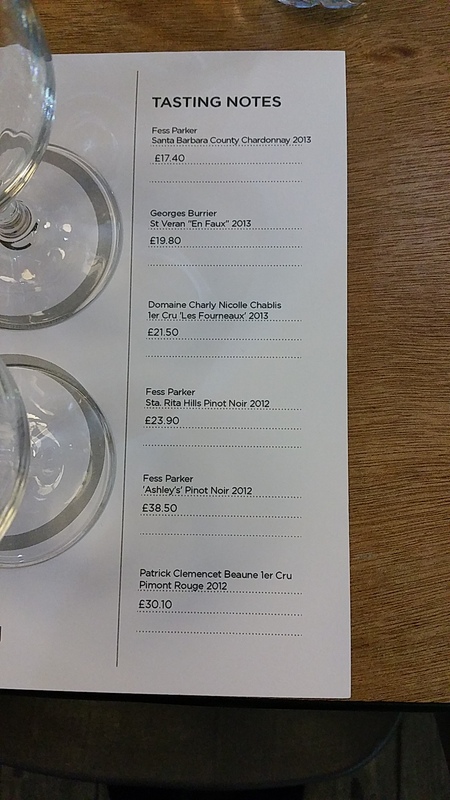 So up first and in no particular order was the whites which included a Domaine Charley Nicolle 1er Cru Chablis 2013, a George’s Burrier St Veran ‘En Faux’ 2013 and a Fess Parker Chardonnay 2013. So let’s have a look at some of the flavours our masterclass attendees could taste, (the majority of which were spot on). The Domaine Charley Nicolle Chablis (from Burgundy) was described as light and fresh with a burst of citrus and acidity that hit the mouth. The George’s Burrier St Veran (again from Burgundy) had some toasted and honeyed notes with grapefruit savours. It’s typically described as having a long finish but surprisingly compared to the Domaine it didn’t. 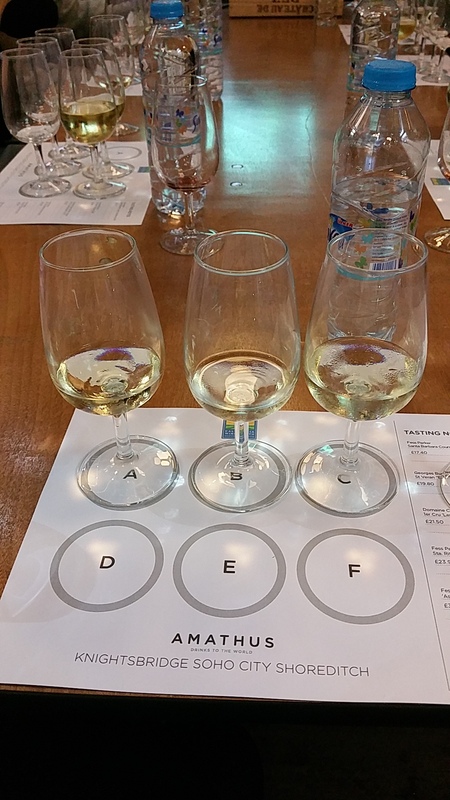 The final white was the Fess Parker Chardonnay 2013, the only white from California. This had aromas of citrus, lemon and honey and flavours of vanilla and spice. This was a favourite of mine that goes perfectly with a bowl of creamy pasta. Bon Appetite! Before we move onto the reds, I’d like to give you a quick tip. You might already know this but if not here goes… The sign of a good wine is not necessarily where it comes from or how it is made but can be determined by how long the flavours remain in your mouth. So next time you have a glass of wine bare this in mind! So on the red side, again in no particular order, was the Fess Parker Sta. Rita Hills Pinot Noir 2012, the Patrick Clemencent Pimont Rouge 2012 and the Fess Parker ‘Ashley’s’ Pinot Noir 2012. The Fess Parker Sta. Rita hills (from California) was described as a bit spicy, it had pepper and red cherry qualities but was light at the same time. The Patrick Clemencent Pimont Rouge 2012 (from Burgundy) was much more dryer than the Rita Hills and was quite subtle in flavour. Finally we had the Fess Parker ‘Ashley’s’ Pinot Noir, again from California. This had more depth with scents of blackberry, black cherry, sage, vanilla and baking spices on the nose and provided a long lingering finish on the palate. This particular pinot noir actually comes from Fess Parker’s daughters winery who is, believe it or not, called Ashley! After the tasting it was time to decide on our favourite red and white from the ones we’d tasted. Let me remind you that it was a Califonia vs Burgundy masterclass so we were intrigued to find out which one came out on top. 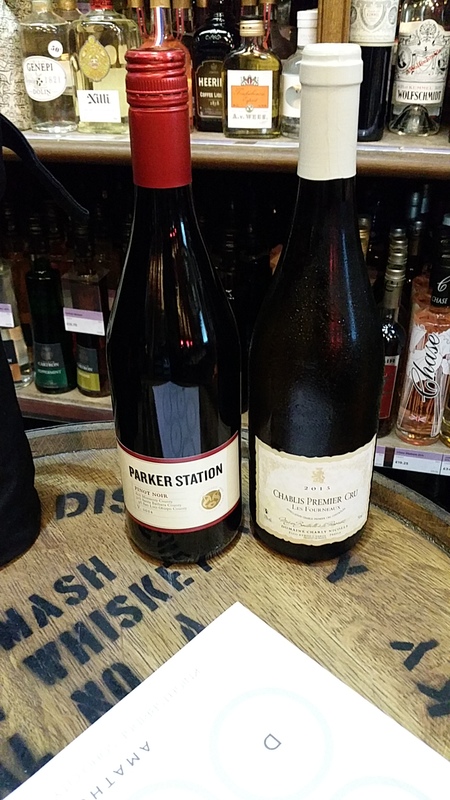 The clear winners of the masterclass was the Fess Parker Chardonnay 2013 and the Fess Parker ‘Ashley’s’ Pinot Noir 2012, both from California, Santa Barbara County. For me this was quite surprising, I assumed that the Burgundy wines would be the favourite, simply because they’re very established in the wine world. Not to sound like a clique but you should never judge a book by its cover. When it comes to wine you should always try it before you decide whether you like it or not. Don’t not try it because of the region it comes from, a lot of the time you’d be very surprised! To keep an eye on our upcoming masterclasses please visit our website.